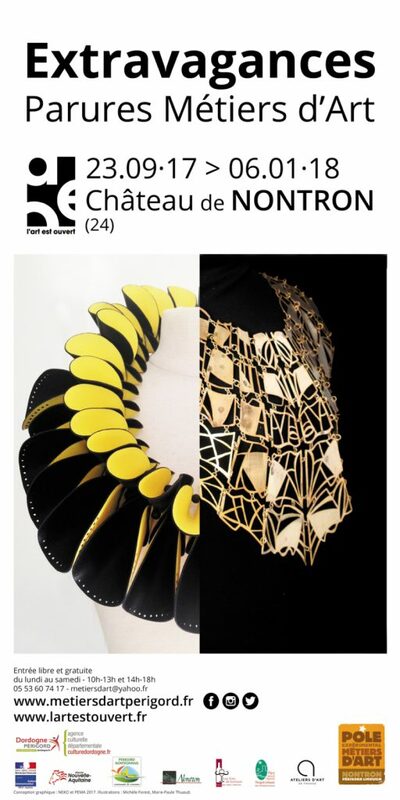 More than jewels, “Extravagances – adornment crafts” presents Nontron castle exceptional ornaments, art objects out of the ordinary created by professionals of the crafts. 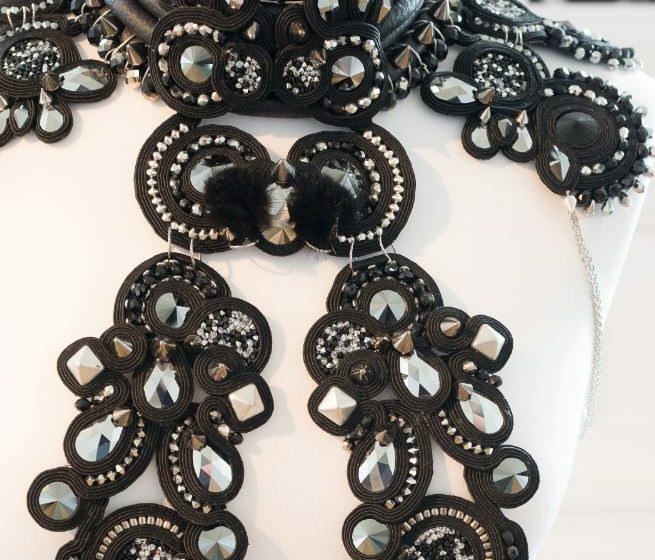 “Extravagance” is an invitation to travel to singular universes because adornment is not only ornamental, it also has an identity function, both social and intimate object, sometimes magical or sentimental … We do not choose an adornment by chance! Exhibiting adornments of creators crafts is to show objects in which the aesthetic exceeds the “Beautiful” and questions our “I” inside. The adornment dresses the body and reveals the spirit. On the subject of extravagance, these craftsmen have imagined pieces that can be worn or not, practical or emblematic, sometimes unexpected materials and techniques and techniques unusual in this area. These adornments will tell as much about their creators, the personality and intimacy of artists as those who choose to wear them.